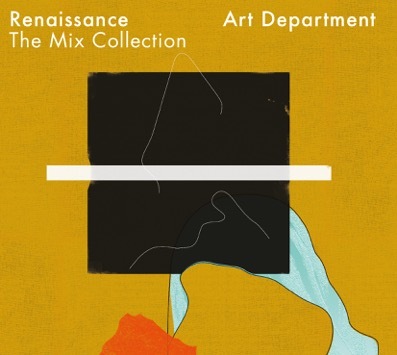 UK label Renaissance returns with the next instalment of its Mix Collection series, enlisting production outfit Art Department across two CDs. Canadian Jonny White, acting Head of No.19 Music, Social Experiment and Sunday Money Music is the electronic music veteran behind the project known as Art Department. With their own style and contribution to the electronic music scene, the subtleties of the deep, low-slung ad spaced out sound that has not only forged its way into Art Department’s discography but also draws clear stylistic lines back to Renaissance’s earlier ’90s chapters. Originally breaking out the Toronto club scene, Art Department have over a number of years garnering accolades such as iTunes #2 ‘Best Electronic Album’ for their debut LP, awarded the 2010 ‘Track of the Year’ for their breakout hit ‘Without You’ by platforms such as Resident Advisor (UK), Groove Mag (Germany), and #2 in Mixmag (US), and featured in widespread press, including The Guardian, Rolling Stone, Vogue, I:D, Nylon and Vibe Magazine. Released on 28 October across two CDs, the label that has drawn wisely upon one of the scene’s recent innovators to create an intimately focused collection of tracks that sit at the dubbier end of techno and house. CD1 welcomes through the ethereal deep sounds of Route 8, Petar Dundov and Jonny White himself through a carefully crafted intro. CD2 provides the listener with a more up-tempo offering carved from the swung beats of DJ Sneak, Fresh & Low and Sascha Dive. Far from a history lesson or divulgence into nostalgia. Art Department has delivered a mix that includes distinct global-drawing highlights from Parisian production group Mandar, Detroit’s own Delano Smith and Hong Kong native Steve Tang to name a few.